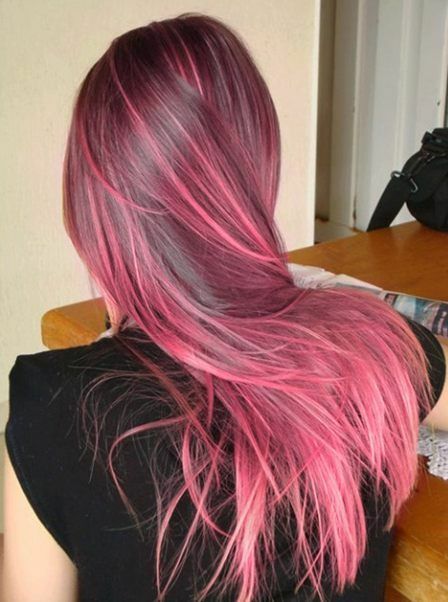 Incorporating bright colors into your hair can create a beautiful, stunning effect. From a bold, underground statement to something more tame and trendy, adding hints of unnatural color to your mane is definitely a way to spice up your look. With summer here, now is the perfect time to experiment if you’ve been thinking about it. Below, you’ll find instructions on how to achieve that perfect look for you, using whatever fabulous color you’ve had your eye on. No matter what color hair you have to start with—anything from platinum blonde to raven black—you will certainly be able to dye it whatever brilliant color you choose. 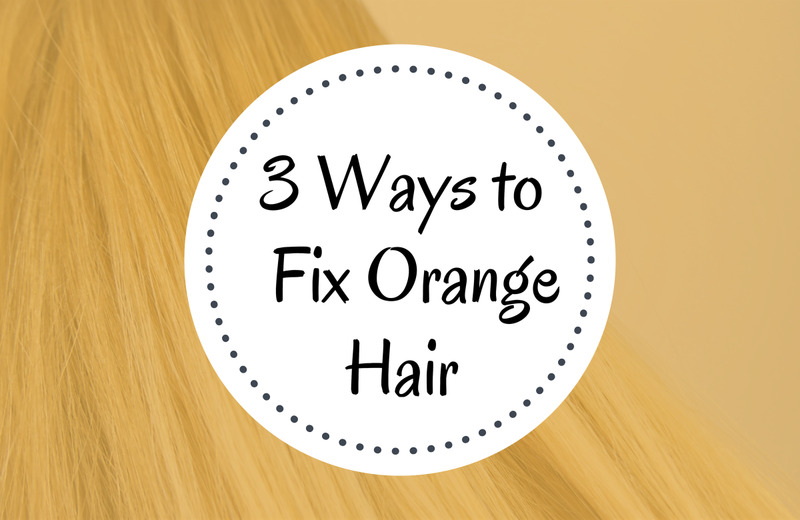 Infusing bright colors into your hair is not difficult. However, there is a process you need to follow to ensure beautiful success. This is the first, and quite possibly the most important, step in the process. You need to decide what you want your hair to look like as a finished product. 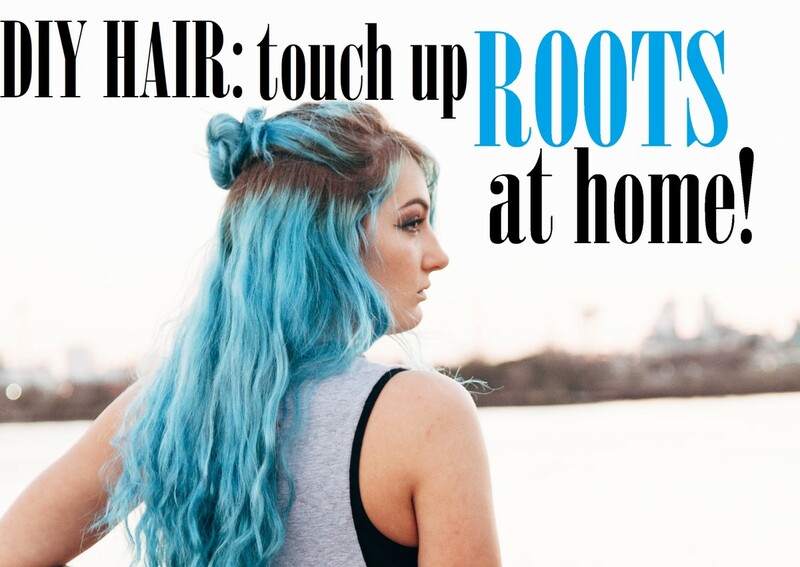 The look you want will dictate what supplies you’ll need and what process you’ll use to actually dye your hair, as well as how you’ll care for it afterward. Do you want your entire head a Technicolor hue, something bold just underneath, an ombre effect, or peek-a-boo highlights? You also need to consider whether you’ll use just one color or multiple. There are so many options that it’s sometimes difficult to decide on just one, but you can always try another look next time. 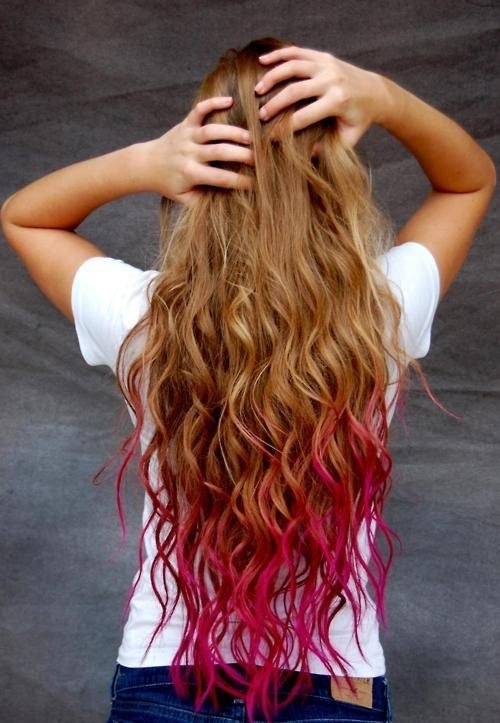 The coloring of your current hair as well as the one you want are a major part of the shopping list fiasco. 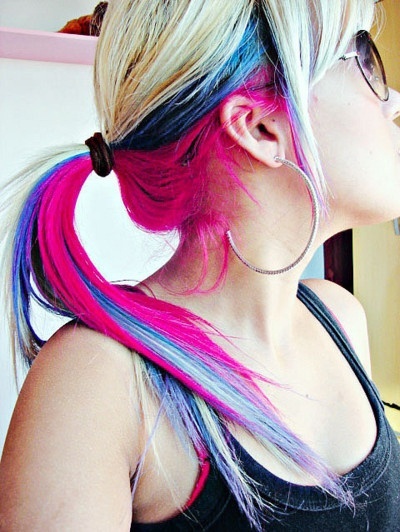 Think of your hair as a canvas—for the paint to really show up, the canvas needs to be blank and white. 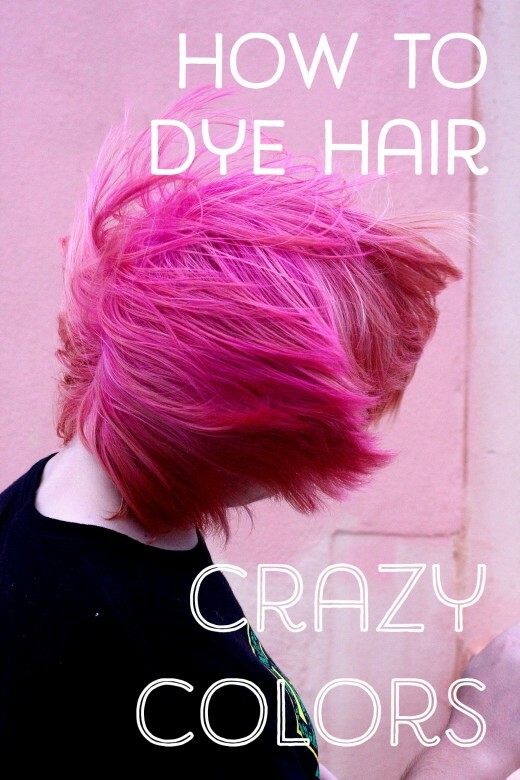 The same is true of dyeing your hair crazy colors. For the color to really turn out like what it looks like on the box or in the container, you need to start with hair that is light. 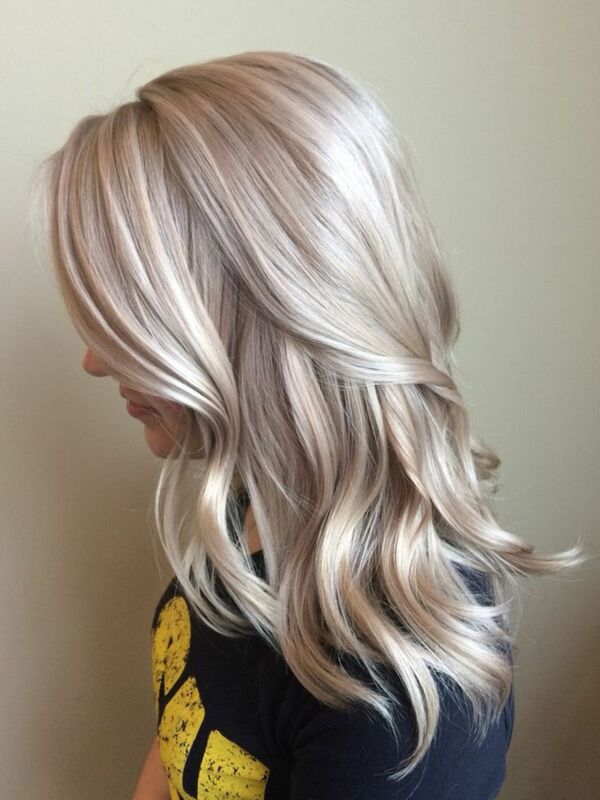 If you put a purple color on someone with platinum blonde hair, then use that same color purple on someone with medium brown hair, you will end up with two very different looks. 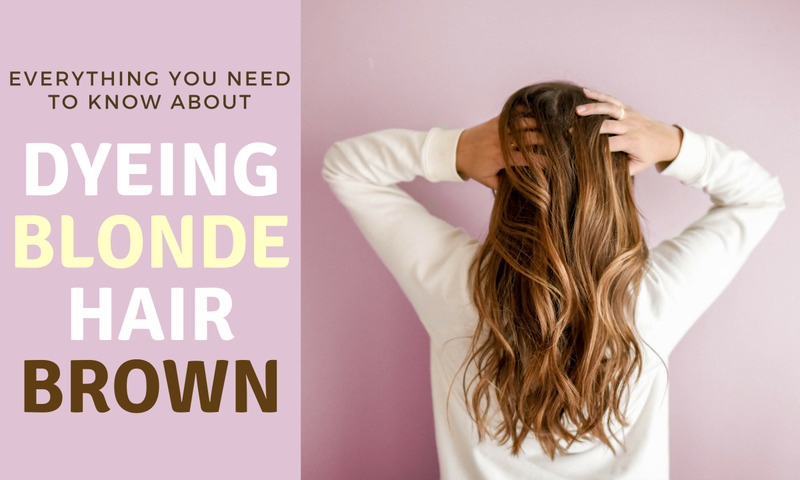 If you are starting out as a brunette or dark blonde, you will need to bleach the portions of your hair that you intend to slap the color onto. The easiest option for bleaching your hair is using a kit, such as the Manic Panic Flash Lightening Bleach Kit. The kit comes with everything you need to bleach your hair, including instructions. If you are starting out with hair that's dyed black or red, you may also need a color stripper before you attempt to bleach. This will help get rid of some of the color and pre-lighten your hair, giving the bleach a chance to really work. If your current hair color is light blonde, all you will need is the crazy color of your choice. You can skip the bleaching process. Many colors that are available are vibrant colors. When properly applied, they’ll start out very rich and lighten after washings to a more pastel color. 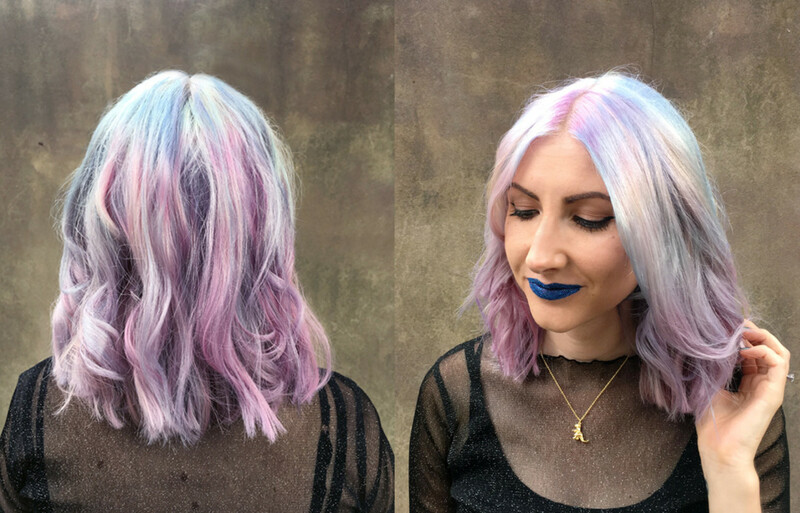 If you want to skip the vibrant stage and instead jump headlong into a pastel look, you will need a pastel mixer to mix with the color you choose to dilute and lighten the color's effect. 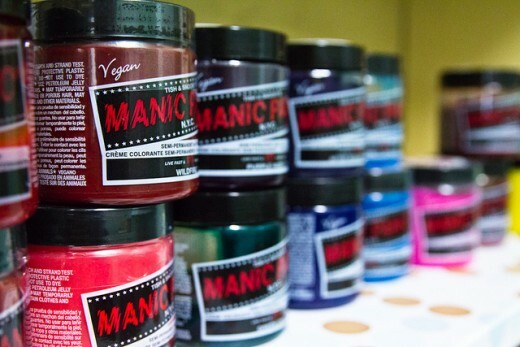 Both Manic Panic and Ion—the two brands I favor—have them. Also, if you want a pastel color, you will need to start with nothing darker than a very light, white, blonde. Think platinum, or the color will not turn out right. I’ll use myself as a guide for this one. My hair is of medium thickness and I have a lot of it. It comes barely past my shoulders. For anything but a whole-head application, one box/tub/tube of color will more than suffice. If you are applying dye to more hair than that, consider buying two. Step Three: Dye Job Time! Now that you have all your stuff, let’s do this. Again, this part is subjective, based on what style you’re going for. I’ve outlined the techniques to achieve the three most popular looks below. Begin by bleaching your hair if needed. Mix your color with a pastel-izer if needed. Section off your hair like a plus sign- straight down the middle, then straight across right above your ears. Secure with hair clips. Take the Vaseline and make a ring completely around your head with it, tip your ears as well. This will keep the dye from staining your skin if it touches. Begin at the base of your head. Undo one of your back sections of your hair, and break it into smaller sections that are easier to completely saturate with color. I undo the clip, slice a section with a comb, re-clip the excess hair, and color the sliced section (which should be about 1/6 the thickness of your total back section). Then let down the clip and slice and color another section until that whole quarter of your hair is finished. Move on to the remaining three sections. Once your whole head is colored, you can either relax and let the dye process on its own, or you add heat to intensify the dye’s effect and speed the process along. If you choose to add heat, simply put your hair dryer on the heat setting and heat your hair. You won’t need to do it for long; a few minutes, and stop if they dye starts to feel dried out or crunchy. You want it to remain wet. When you’re happy with the intensity of the color, it’s time to rinse. Usually after thirty minutes, you won’t see much difference in absorption, so go ahead and rinse if you reach the thirty-minute mark. These colors will stain your skin and shower, so rinse it in the sink! It will stain the rest of your hair as well, so make sure that when you rinse, the water won’t run down the un-colored parts of your hair. Turn around to the back and bend over the sink (or if that’s not feasible, brave the shower anyway and then clean it immediately with a magic eraser). Rinse with cold water first. You can slowly heat it up if you need to. Hot water will make the color fade faster than cold. Rinse until the water runs clear. In some cases, you won’t get it to run completely clear; that's fine, just get it close. You don’t have to shampoo your hair, but it’s always good to condition. 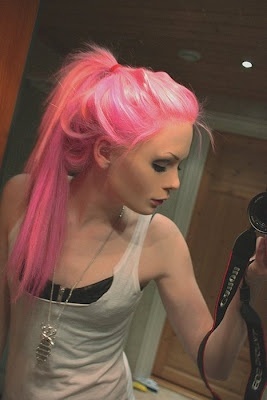 Begin by bleaching the parts of your hair you intend to color, if needed. Section off your hair, so that just slightly more than half is on top. I usually slice right across at the middle of my ears. Secure the top half with hair clips. Take the bottom portion of your hair and clip it into four to six different sections depending on thickness of your hair. Take Vaseline and apply it to any skin that the dye may come into contact with. Include your ears. This will keep the dye from staining your skin. Begin coloring your sections. Be really careful if you’re blonde not to touch the upper section of your hair with the color- it will stain on contact. You can wrap the colored sections in foil if that helps you keep them separate. Once your sections are colored, you can either relax and let the dye process on its own, or you can add heat to intensify the dye’s effect and speed the process along. If you choose to add heat, simply put your hair dryer on the heat setting and heat your hair. You won’t need to do it for long, just for a few minutes, and stop if they dye starts to feel dried out or crunchy. You want it to remain wet. Mix you color with a pastel-izer if needed. Decide where you want your peek-a-boos to peek out. Sides? Face-framing only? Section hair accordingly. Secure excess hair with clips. If you are going to be coloring near your face, ears, or base of your skull, take Vaseline and apply it to any skin that may possibly come into contact with the color so it doesn’t stain. Using the stick end of a comb, slice a small, thin section of hair for your peek-a-boo. You can either coat the whole section with color, or use the end of the comb and weave through the section, picking up and dropping pieces for a more an effect similar to highlights. Coat the section with color, and wrap it with foil so it cannot contact and stain the rest of your hair. Continue working through your hair this way until you get the number of highlights you want. Aftercare is really important for people who decide to go with the whole-head application and don’t want their color to fade out quickly. You can take the left over color you had and mix it in with your conditioner. Every time you wash your hair, you can condition and deposit some of that color back into your hair, making the color last longer. For all applications, if you can wash your hair with cold water and only wash your hair every third day, you will extend the life of your color quite a bit. Hot water washes out the tint quicker, as does washing with increased frequency. There are some people I know who swear it is best to wait a week before washing your hair for the first time after you color it, but I’ve never made it that long. These semi-permanent hair colors are not stressful to your strands, so there’s no need for a heavy reconditioning and reconstructing treatment unless you had to bleach your hair first. If you did bleach, buy a deep conditioning treatment and use it for a week or two until your hair feels silky soft again. That’s it! 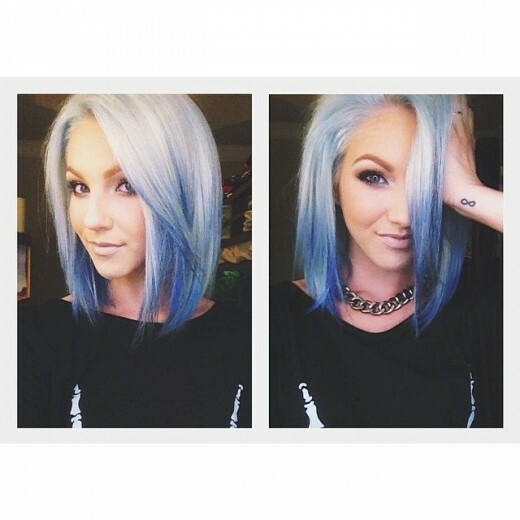 Getting bold, bright colors to look great in your hair isn’t hard, but it’s a definitely a process. If you follow the steps above, though, you should achieve what you are looking for! 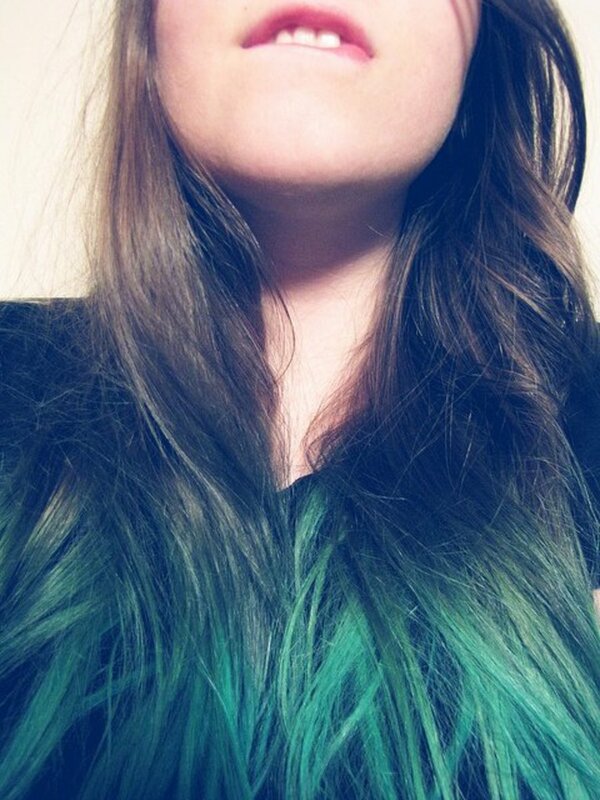 My roots are a greenish blonde and the ends are pastel blue. I bleached my hair nut my roots are not changing what can I Do? This article needs to link people to show them how to lighten their hair with 'bleach' the proper way. I bet TONS of people have destroyed their hair, got uneven results, etc because they thought this was easy. The amount you are going to pay for color correction at a salon is MUCH MORE than just getting it colored there in the first place. You're not doing yourself any favors, promise. I love yhis article , there are a lot of things should be use it for dying Hair and get amazing results just in a few days ,,,,, thank's again for sharing this. They are not "crazy" colors, they are just colors. Heather, the purple tips just faded. 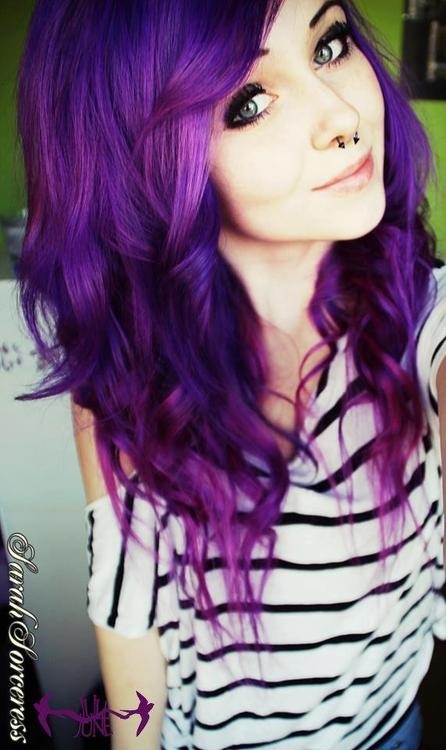 Color is not permanent and usually only lasts about 2-3 weeks. You have to keep reapplying it if you want to keep it.